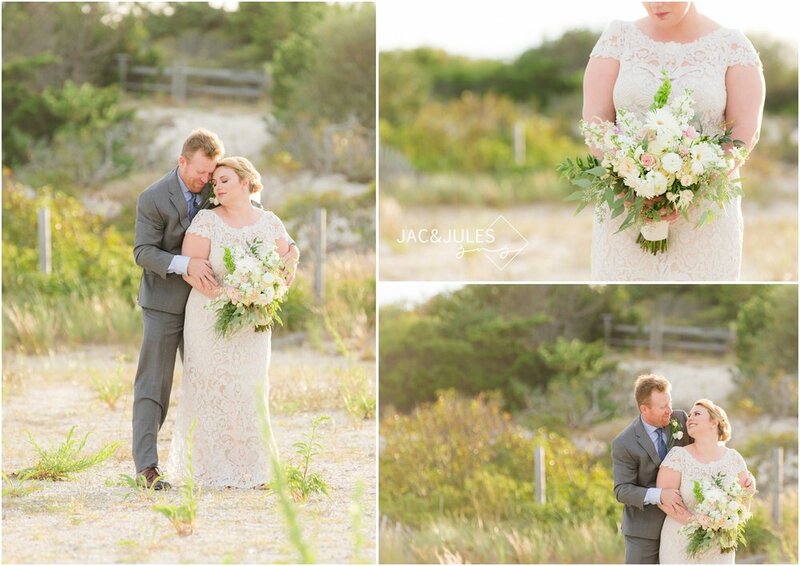 ASHLEE AND BC HAD THE MOST GORGEOUS ELOPEMENT LAST WEEK AT THE BARNEGAT LIGHTHOUSE IN LBI! 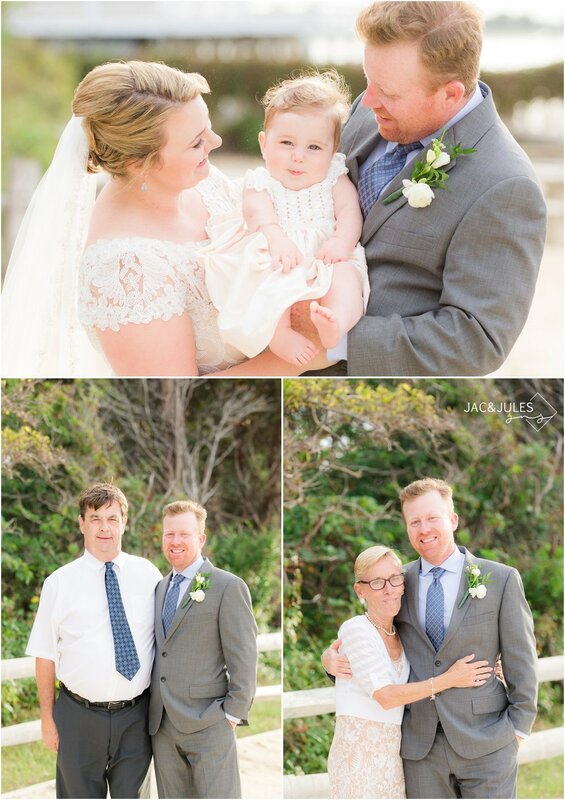 THE WEATHER, THE SUNSET, THEIR ADORABLE LITTLE GIRL AVERY, AND THEIR LOVE MADE IT A WEDDING WE WOULD PHOTOGRAPH OVER AND OVER AGAIN! Just one day after Julia and I proclaimed to each other that we simply could not take on any more work in September I got a text from this beauty. 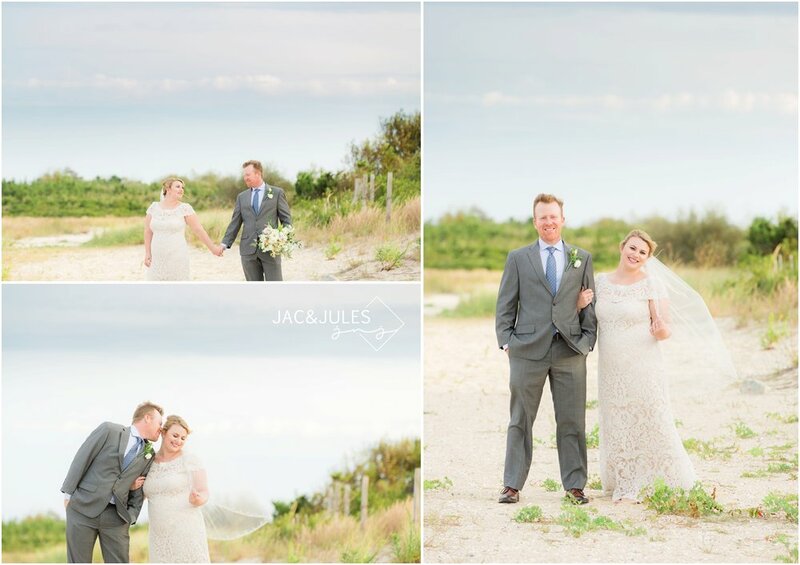 Her Long Beach Island elopement sounded like perfection, and it just so happened to be on the ONE day in September that we weren't working! As soon as we spoke to each other it was clear that we were both in! 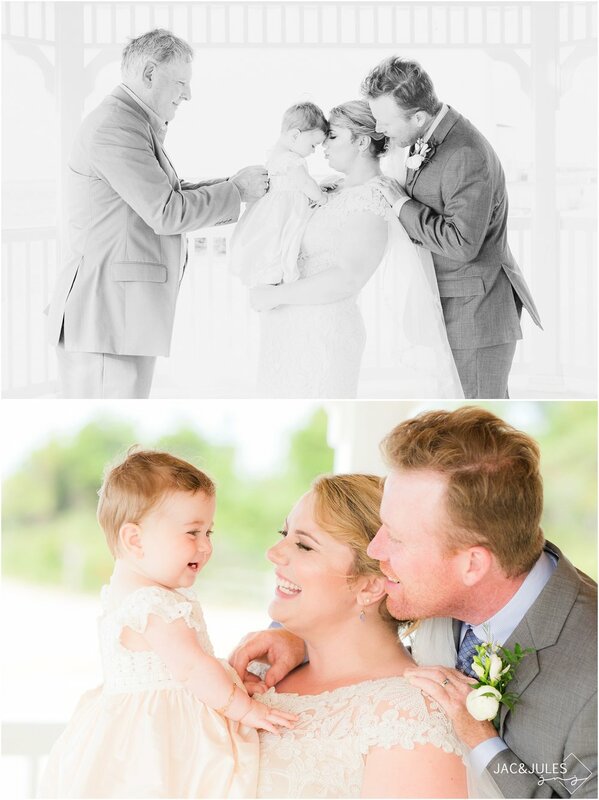 Afterwards we found out that they had a sweet little baby girl, and since families and weddings are our favorite things to photograph, if you put them together we get seriously giddy... plus, a wedding at golden hour?! When does that ever happen?! It was a photographer's dream! The lighthouse closes at 4:30 and they wanted to just do a couple shots inside so we started with a first look just outside the entrance. 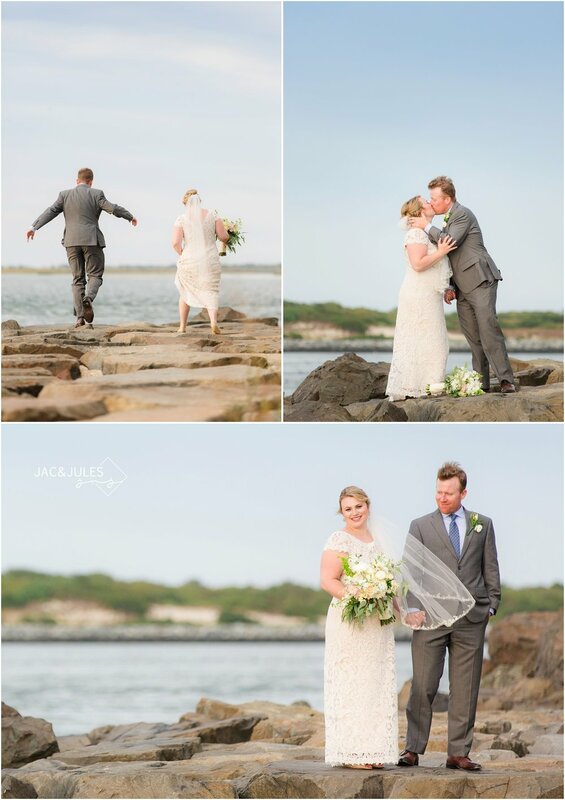 We love when the location and light provides a spot where the couple can walk up to each other during the reveal since it allows us toget a little more reaction from both, so that was awesome! 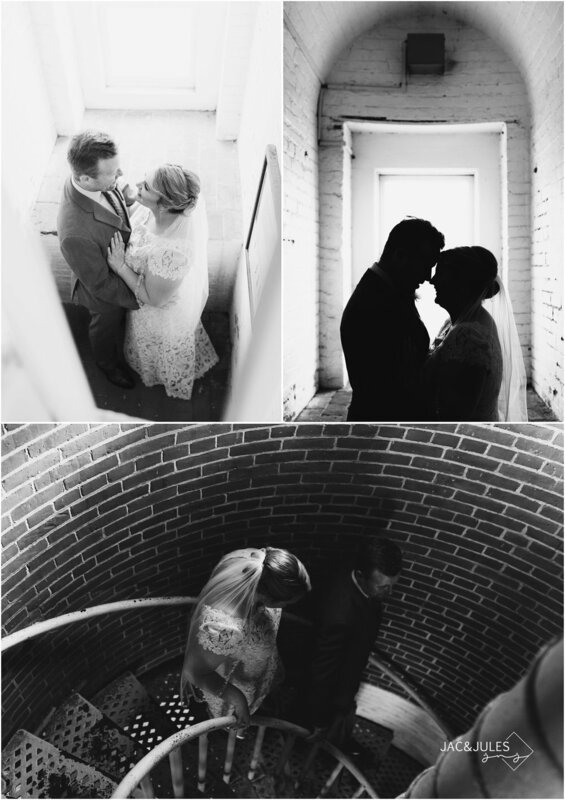 We headed into the Lighthouse for a few quick shots and then it was time! They had an intimate ceremony, officiated by a friend in the gazebo. Then it was on to family! Since they only had close family and friends we were actually able to get a shot of everyone! Avery was so excited she couldn't stop blowing bubbles (aka, spitting, haha! 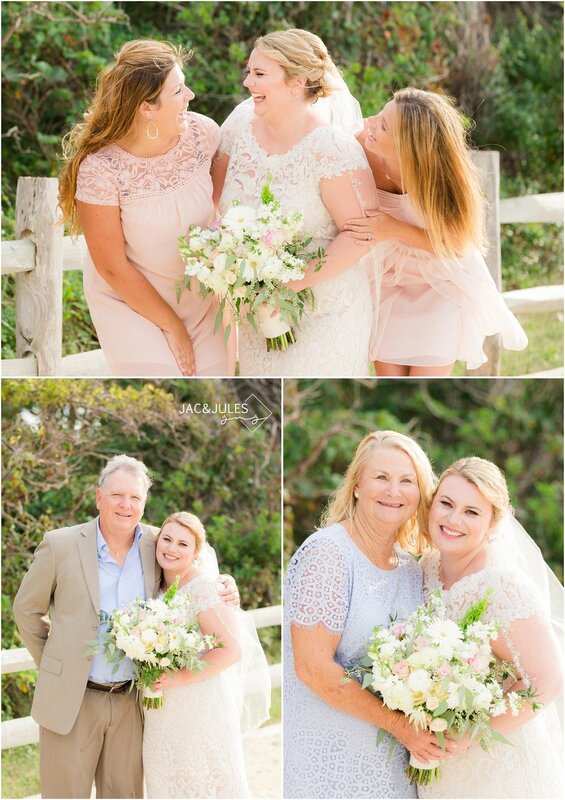 ), if you look closely in the family photo you'll see it! We got to end the evening exploring the beach with just the newlyweds, and were fortunate enough to have a crazy sunset as well that resulted in some killer silhouettes! 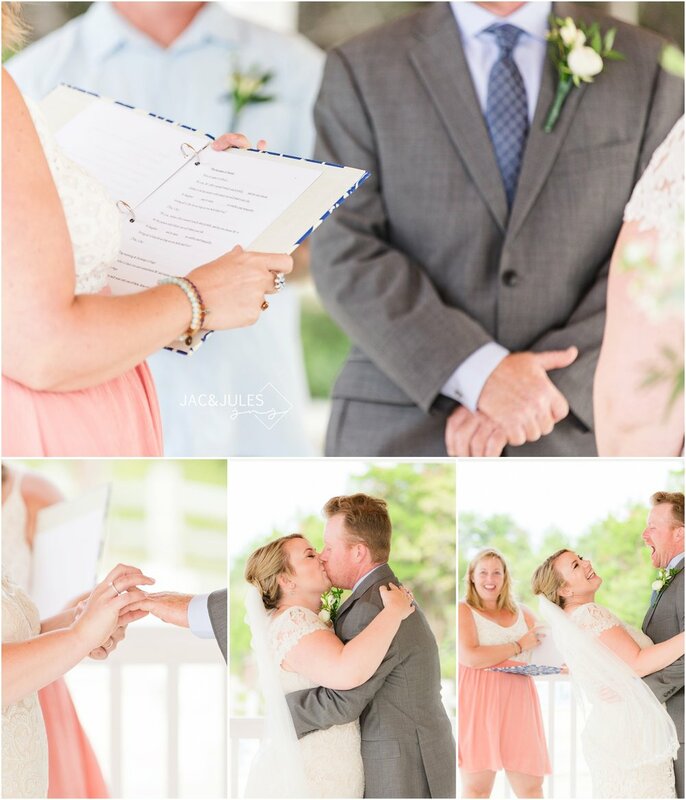 We are so lucky to have been able to photograph Ashlee and BC's wedding and wish them the best! Enjoy! 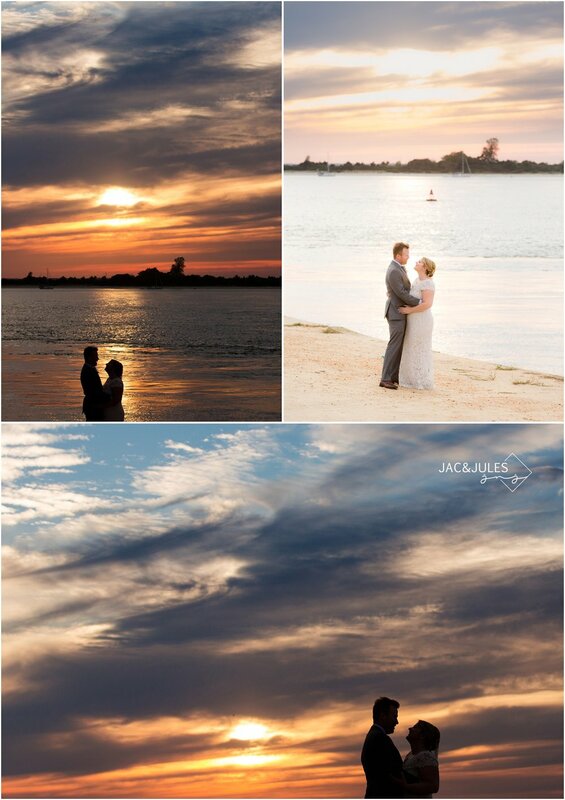 CHECK OUT THE LOVELY PHOTOS FROM ASHLEE AND BC'S LONG BEACH ISLAND WEDDING AND SHOW THEM SOME LOVE! HAVE YOU ELOPED, OR THOUGHT ABOUT AN ELOPEMENT... TELL US ABOUT IT!